Mountain View, CA - Today PlanPrescriber (www.planprescriber.com), a wholly owned subsidiary of eHealth, Inc. (NASDAQ: EHTH), released a list of eight costly mistakes that people typically make when trying to enroll in a Medicare Supplement plan. PlanPrescriber provides educational and comparison tools for Medicare insurance products that allow customers to compare Medicare products side-by-side, connect with knowledgeable, licensed agents, and enroll in select products online or over the phone. People on Medicare, or enrolling in Medicare or a Medicare Supplement plan for the first time, should be aware of these potentially errors prior to the 2012/2013 Medicare Annual Enrollment Period (AEP), which begins Oct. 15, 2012, and runs through Dec. 7, 2012. In most cases, Medicare Supplement insurance enrollees who wish to make changes to their prescription drug coverage, or switch to Medicare Advantage in 2013, must do so during the AEP. 1) Overlooking prescription drug coverage and changes in those benefits: Medicare Supplement plans (also called Medigap) does not include prescription drug coverage. If you get coverage through a separate Part D plan, know that most plans change their pricing and benefits each year. You can use an online tool to see whether and how your prescriptions drugs will be covered in 2013. According to a study by PlanPrescriber.com, the average person could have saved $654 in 2012 by changing their coverage to a plan that covered their drugs at the lowest possible cost. 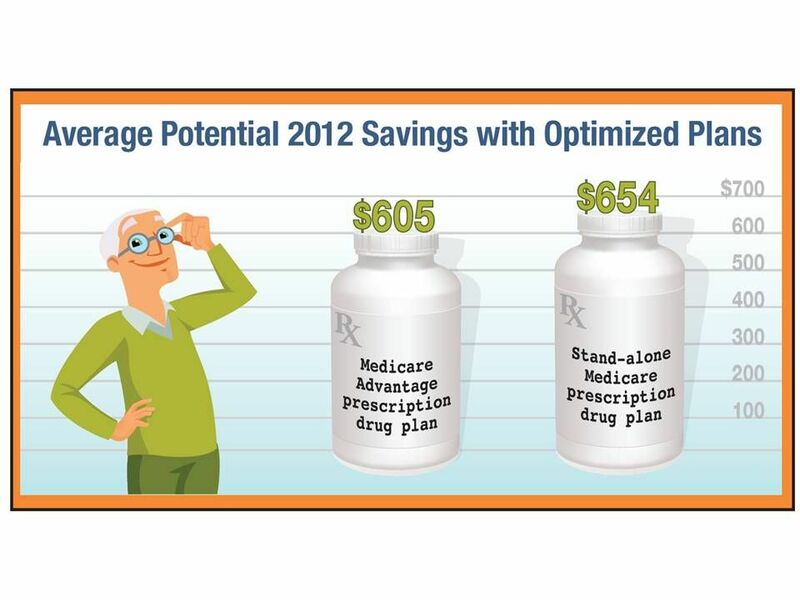 2) Picking the drug plan with the lowest monthly premium: All drug plans are not created equal. While the average prescription drug plan covers about 70 percent of all Medicare-approved drugs, some plans cover as few as 49 percent, according to the PlanPrescriber.com study. That’s why it’s important to look beyond the monthly premium and see if the plan covers the drugs you take. 3) Forgoing vision or dental care: Original Medicare may pay for certain vision and dental services in an emergency, but routine care and check-ups are not covered. Historically, Medicare Supplement plans haven’t offered this coverage either, but a few supplement plans in select states have begun to include benefits like dental insurance. You also have the option to purchase separate “stand-alone” insurance policies for dental and visions coverage. 4) Believing supplement plans cover everything. Medicare Supplement plans are sold by private insurance companies and are designed to fill in some of the gaps not covered by Original Medicare. Supplement plans cover some copays, coinsurance and deductibles. However, they don’t cover everything. With a few exceptions, if it’s not a benefit covered by Medicare, your supplement won’t cover the copay for it either. If you’re not sure about what’s covered by, seek advice from a licensed agent or contact Medicare directly. 5) Ignoring long-term care needs: According to an Opinion Research survey sponsored by PlanPrescriber.com, paying for long-term care is a top concern for baby boomers. Original Medicare will only pay for care in a skilled nursing facility for up to 100 days, and beneficiaries typically have to pay for a portion of those costs out of pocket. And, in most cases, Medigap plans will only cover out-of-pocket costs for services that are also covered by Medicare. So, once Medicare stops paying, your Medigap plan will stop filling in the gaps. But, long-term care insurance is available to help fill in the gaps. 6) Assuming you’re stuck in Medigap: When it comes to Medicare coverage, Medigap plans can include some of the most comprehensive benefits. The monthly premiums tend to be higher than Medicare Advantage, but they include fewer out-of-pocket costs. However, rates tend to increase as a person ages. If you want to try a Medicare Advantage plan, know that you are allowed try Medicare Advantage for about a year, and then can switch back to your Medigap plan if you change your mind. 7) Taking a trip without knowing what’s covered: Medigap will make it easy for you to travel around the country without worrying about your coverage. But, Medicare will not pay medical claims outside the United States and its territories. Some Medigap plans extend emergency coverage outside of the United States, but not all of them. For this reason, it’s a good idea to investigate travel insurance before taking an international trip. 8) Enrolling without help: Qualified professionals can help you understand your options and select a plan. You can get help through your State Health Insurance Assistance Program (SHIP), websites like www.PlanPrescriber.com, licensed health insurance agents who are certified to sell Medicare, or by calling 1-800-Medicare. You may be able to get Extra Help to pay for your prescription drug premiums and costs. For more information on Extra Help, you can contact PlanPrescriber.com at 800-404-6968 ( TTY User: 711) to be connected with a partner licensed representative who can discuss Extra Help eligibility rules or contact Medicare directly at 1-800-MEDICARE (1800-633-4227). TTY users should call 1-877-486-2048, 24 hours a day/ 7 days a week; the Social Security Office at 1-800-772-1213 between 7 a.m. and 7 p.m., Monday through Friday. TTY users should call 1-800-325-0778; or your Medicaid office. In general, beneficiaries must use network pharmacies to access their prescription drug benefit, except in non-routine circumstances, and quantity limitations and restrictions may apply.